Lithuania's citizenship laws recognize the right of people who lived in Lithuania in the period 1918-1940 and their offspring to claim Lithuanian citizenship but recently a growing number of applications by Litvaks, Lithuanian Jews, have been rejected by the Lithuanian Ministry of Interior, leading to serious questions about how the system is being administered. 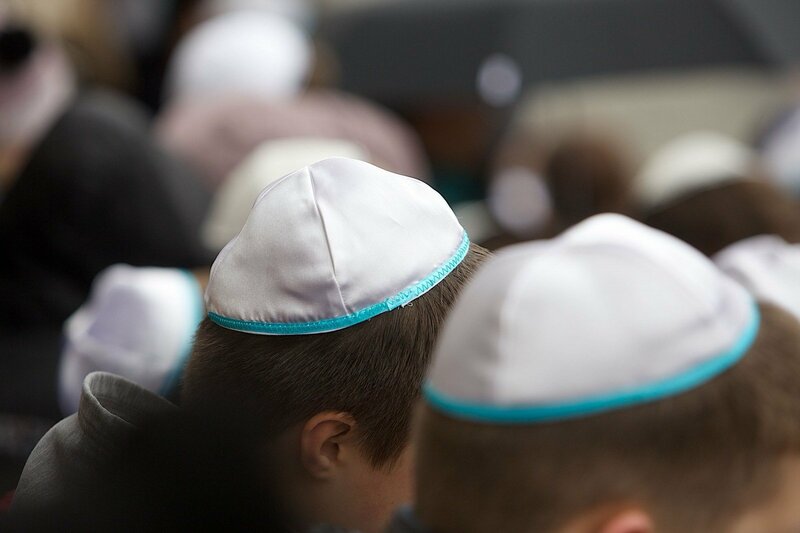 Many Litvaks, Lithuanian Jews whose ancestors had to flee the country to escape persecution before and during World War Two, have successfully used the law. Last year, however, Lithuania's Migration Department suddenly started rejecting Litvak applications. Until mid-2015, about 1,000 Litvaks from Israel, South Africa, the United States and other countries successfully applied for Lithuanian citizenship. These Jews, whose ancestors came from Lithuania, argued that their parents or grandparents had to flee the country before 1940 due to personal threats from domestic or foreign sources. This meets the conditions of the current Citizenship Law for qualifying for a Lithuanian passport. However, the Migration Department, which had been granting most applications, started rejecting them last year and some of the applicants went to court. The Migration Department has rejected about 200 citizenship applications from Litvaks and about 10 of them have sued to contest the decisions and are awaiting court rulings. "Last year, the Supreme Administrative Court of Lithuania has rejected several pleas from Jews of Lithuanian origin for Lithuanian citizenship, quoting a ruling from the Constitutional Court which said that our country's citizenship can be granted in exceptional cases only and that a person who left the country must prove that they emigrated due to individual threats against them. Several courts have used it as their argument, so we started using it as our guide in assessing applications from individuals whose ancestors left Lithuania before the 1940 Soviet occupation," said the Migration Department's acting head Evelina Gudzinskaitė. She has confirmed that some applicants who were denied Lithuanian citizenship took the department to court. She has also confirmed that, in some cases, members of one family have been given different answers, even though they had the same ancestors who left Lithuania. "This could have happened when we couldn't ascertain the link to the ancestors. Applicants have to supply all the information they have, but we also do our research. In some cases, we couldn't find information proving that these people had the same ancestors. Especially when the names differ," according to Gudzinskaitė. She said that three Jewish applicants have already lost cases at first instance courts and their appeals have gone to the Supreme Administrative Court. "Although the Citizenship Law has not been changed, we have to guide our decisions by court rulings, because they are an integral part of the legal system," Gudzinskaitė says. Lithuania's Foreign Minister Linas Linkevičius has said that both he and other government officials have been confronted by questions about Jewish people of Lithuanian origin facing problems acquiring Lithuanian citizenship. "There has been a change in legal practices," would be Linkevičius' response to Litvaks' reproaches. The surge in rejected applications started when the Ministry of the Interior came under the leadership of Saulius Skvernelis. The now former minister of the interior has refused to comment, however. Opposition leader Andrius Kubilius, a conservative, said he asked Skvernelis for an explanation for the sudden raft of rejections when he was still in power, but did not receive a clear answer. "I approached both Linkevičius and Svernelis, but I heard no answers. Last Friday, the new minister of the interior, Tomas Žilinskas, informed me that he had signed and sent out an official reply, but it has yet to reach the Seimas. I hope to get the answer soon," Kubilius told LRT. He said he had to explain the situation during his recent visit in Israel, when he was asked why Litvaks could not make use of the Citizenship Law. Žilinskas, the new Minister of the Interior, says that the Migration Department has to reject some Litvak citizenship applications, because it must abide by court rulings. "I personally believe that Litvaks should be granted Lithuanian citizenship, but we don't have the right to disregard court arguments. We are now waiting for a ruling from the Supreme Administrative Court. So far, however, we have not lost a single case in our litigation with Litvak applicants," he tells LRT. Meanwhile Kubilius, the opposition leader, believes that the law should be changed so that people who left Lithuania prior to 1940 and their descendants don't need to go to courts. However, Social democrat MP Julius Sabatauskas, the chairman of the Law Committee, disagrees, saying that there was no need to change existing laws. "Courts must guide their rulings by existing laws and not people's wishes," he said. Sabatauskas said that the parliamentary Law Committee is planning a meeting with representatives from the Ministry of the Interior, the Migration Department and the Council of Courts to discuss the issue. "The Citizenship Law already provides for ways of reinstituting citizenship for people who had it before 1940 or for their descendants," Sabatauskas said. Darius Degutis, who was Lithuania's ambassador to Israel and South Africa between 2009 and 2014, said that most Litvaks he interacted with seek Lithuanian citizenship because they still feel connection to the land of their ancestors. He has witnessed emotional reactions from people who visit the homes of their grandparents in Šeduva, Žagarė, Kaunas or other places in Lithuania. Some Litvaks decide to bring their businesses to Lithuania after coming here for the first time, Degutis said. One of them is Brian Joffe, the founder of Bidvest, one of the world's biggest food distribution networks. Joffe's grandfather came from Žagarė. So Joffe, a Litvak from South Africa, decided to buy a company in Kaunas, Nowaco. Robert Brozin, who manages some 1,500 restaurants across the globe, has been coming to Lithuania every year since 2004 and is also considering doing business in the land of his forefathers. Another successful Litvak, who declined to be named but whose ancestors lived in Seduva, restored and cleaned up the town’s Jewish cemetery, repaired and restored the old Jewish community house, bought an ambulance for the local community and allocated funds to support a local medical centre. Because of his ancestral links to the country he said he intends to keep helping Lithuania and its people. There is more than a passing danger that this feeling of connection and goodwill towards Lithuania, as well relations with the international Litvak community, could be seriously damaged if the issue is not resolved.